This wonderful 1776 Colonial Inn started as an antique desk top letter organizer that sat on top of an old desk. 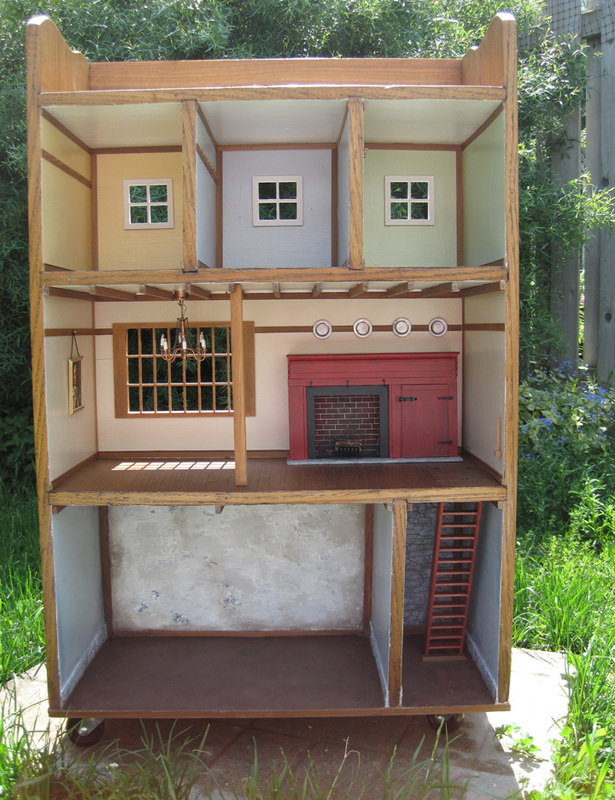 It has three floors and the doll house is set on wheels so it moves easily. The top three rooms have wooden peg hooks where inn customers can hang their clothes. The center floor of the Inn is the dining hall. It has a large open fireplace with a bread oven and wrought iron fixtures. Tiny hooks above the fireplace opening can hold your pots and pans. Pewter plates hang above the fireplace. A framed picture of King George hangs on the wall...but I can easily replace this with George Washington if you are a revolutionist rather than a loyalist! The flooring features rough hewed wooden boards. A trap door that opens leads to the celler where the innkeepers would store the ale and supplies for hungry customers. That is also where they would prepare the food before bringing it up to cook on the open fire. 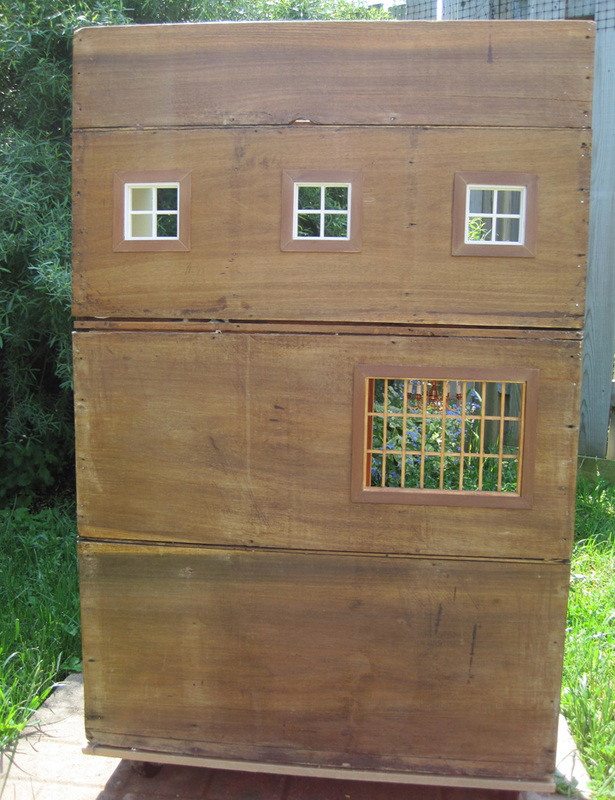 The back retains the look of the original antique piece, and it has four windows that let in the light. A large copper chandelier hangs over the dining area and it has a beamed ceiling. The basement has a 'dirt' floor with plastered and stone walls. A red ladder leads up to the dining room. This happy Inn would be buzzing with activity and every room filled with travellers, eating, drinking and sleeping!